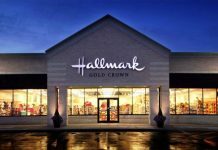 My wife and I are HUGE fans of Hallmark and their line of holiday Keepsake ornaments across several different licensed properties. 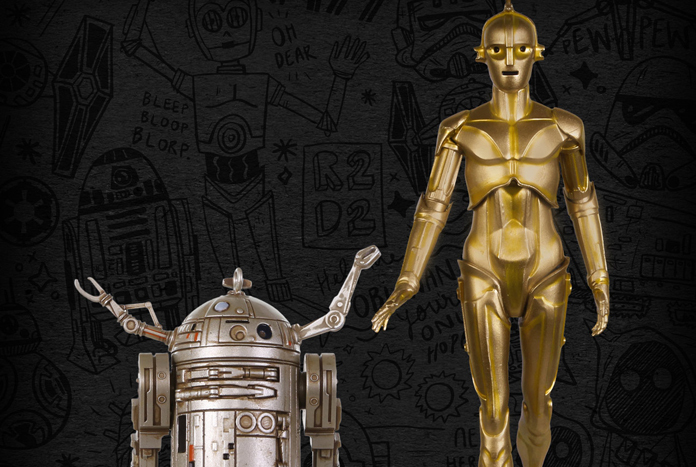 So it comes as no surprise that we’re both super excited to see that Hallmark will be offering a new C-3PO and R2-D2 Keepsake ornament 2-pack titled “Beginnings” at Star Wars Celebration Chicago 2019 that features the droids based on early concept designs from the legendary Ralph McQuarrie. This ornament 2-pack was revealed in our earlier story from today covering the new Celebration exclusive products, but it deserves its own dedicated post in our minds. 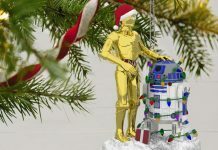 Priced at $40, the C-3PO/R2-D2 ornament 2-pack will hopefully also be made available at this year’s San Diego Comic-Con and New York Comic Con as Hallmark’s 2019 shared Event Exclusive. 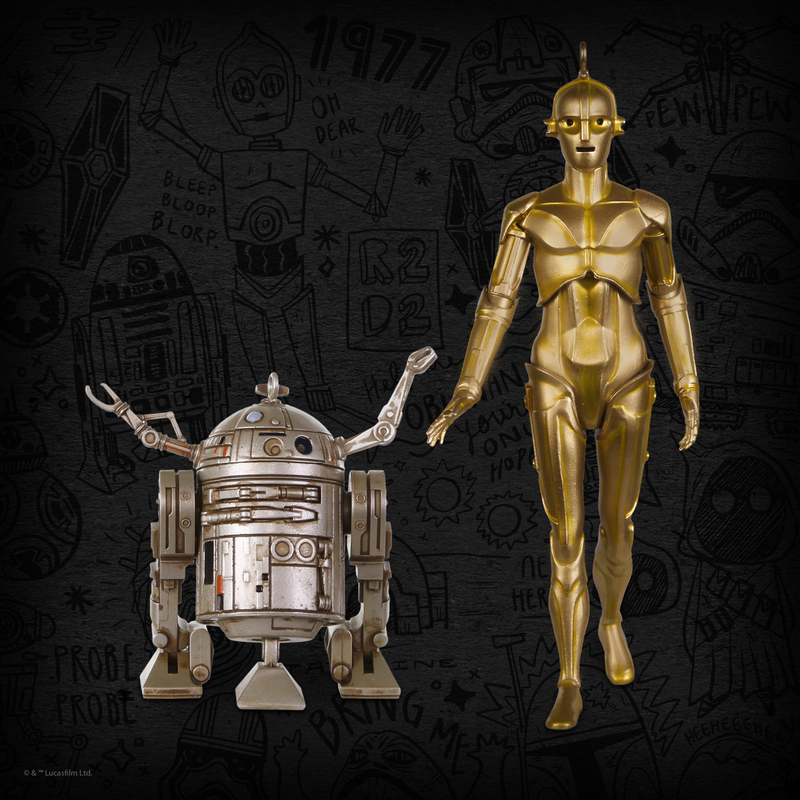 Click the image below for a closer look at this droid ornament 2-pack. 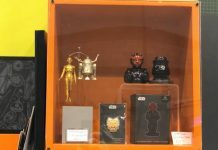 This 2-pack marks the fourth Hallmark Keepsake ornament entry based on early Star Wars character concept designs by Ralph McQuarrie. It joins 2015’s Darth Vader and Luke Skywalker combo An Epic Vision, 2016’s Beginnings: Boba Fett, and 2017’s Beginnings: Stormtrooper.